Salman Gull, 24, from Chorlton and Aqeel Ilyas, 22, of Kempton Road, Burnage, were being pursued by the National Crime Agency (NCA) through south Manchester on July 28, last year, when Ilyas hurled the weapon out of the window of a white Volkswagen Passat. The unloaded 9mm Magnum revolver and five cartridges were in a plastic bag which hit a parked car. The weapon was handed in by a member of the public after they were being pursued for around 25 minutes before Ilyas discarded the weapon on Alexandra Terrace, off Stockport Road in Levenshulme. Both were fleeing National Crime Agency officers through Manchester when Ilyas hurled the weapon into the street. Salman Gull went on the run to Pakistan and returned to the country in October and was arrested on his return. in getting the weapon off the streets. 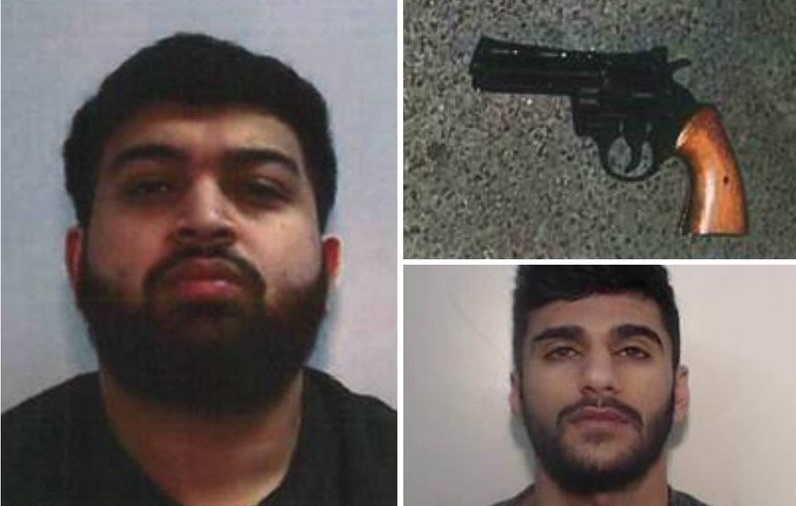 Both Salman Gull, 24, and Aqeel Ilyas were handed a sentence of six years behind bars at Manchester Crown Court.